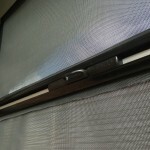 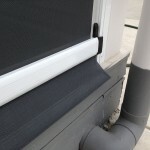 Ziptrak® blinds offer the ultimate in protection and class. 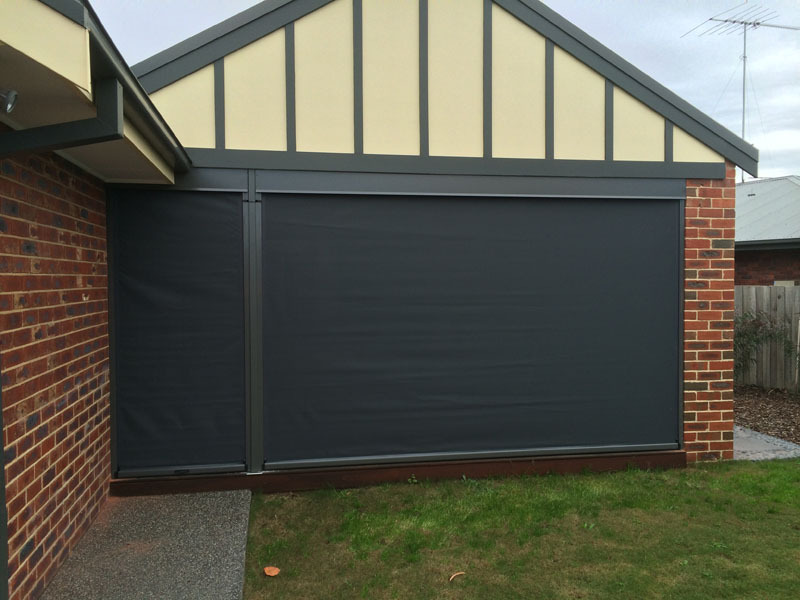 The perfect blind that runs in its own tracking system; Ziptrak® adds elegance, enhancing the look and feel of your home or business. 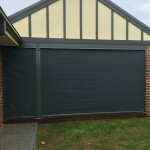 You can choose from a great range of colours and fabrics for complete customisation. 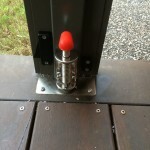 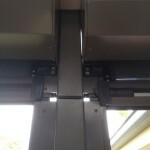 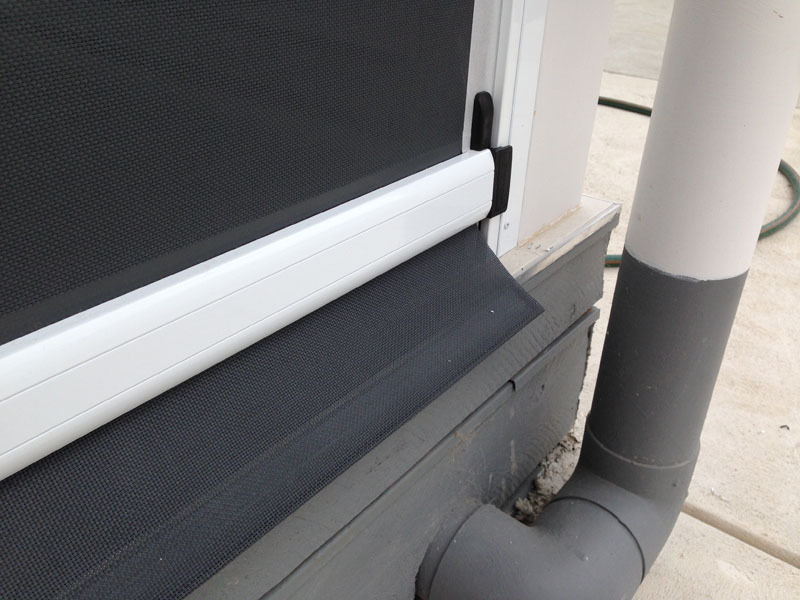 The Ziptrak® blind system is unique and what sets it apart from its rivals is its specially designed side tracks – the blind glides easily up and down while being fully supported. 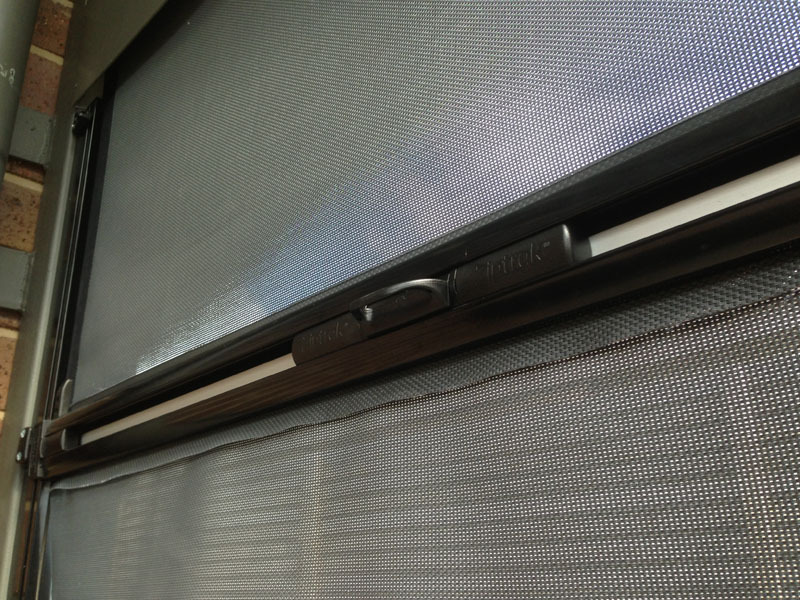 Option is the keyword with Ziptrak® as you can choose from manual (spring-operated) with the added option of the centralised ‘quick release’ mechanism (perfect for using the blind as a doorway), gearbox and crank-handle system (best used on the bigger-sized blinds) and the choice of the motorisation with remote control. 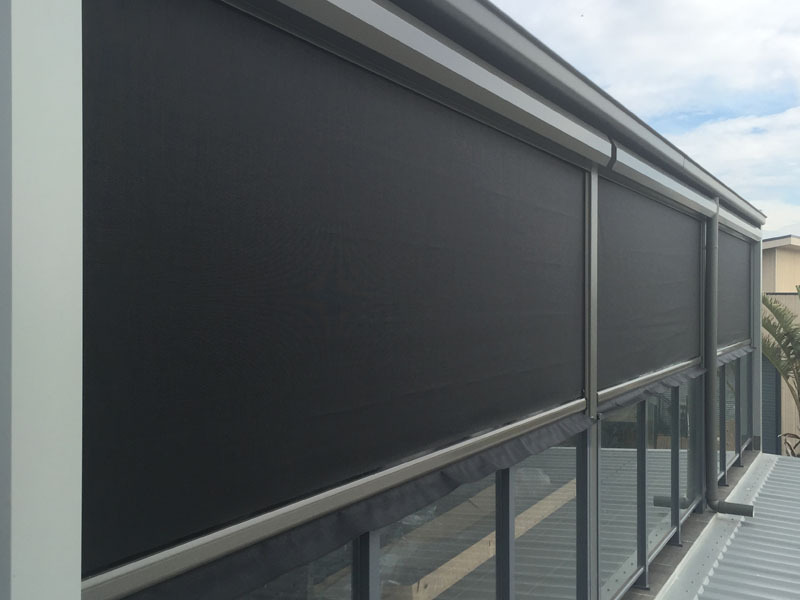 Ziptrak® can have either a stylish hood or a fully-enclosed pelmet added for fabric protection. 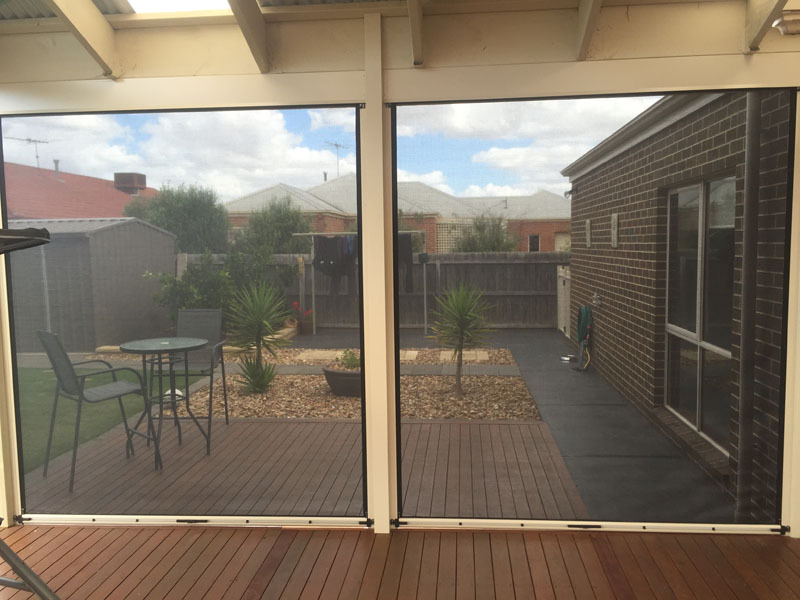 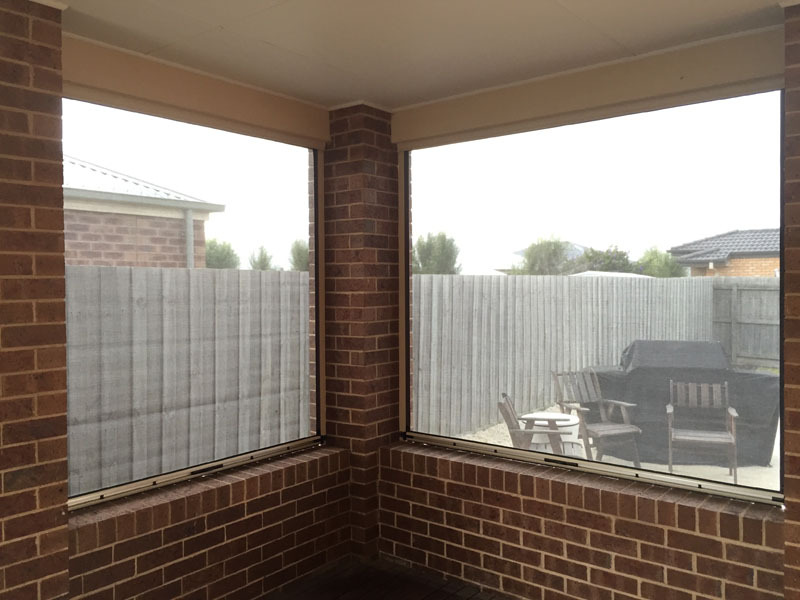 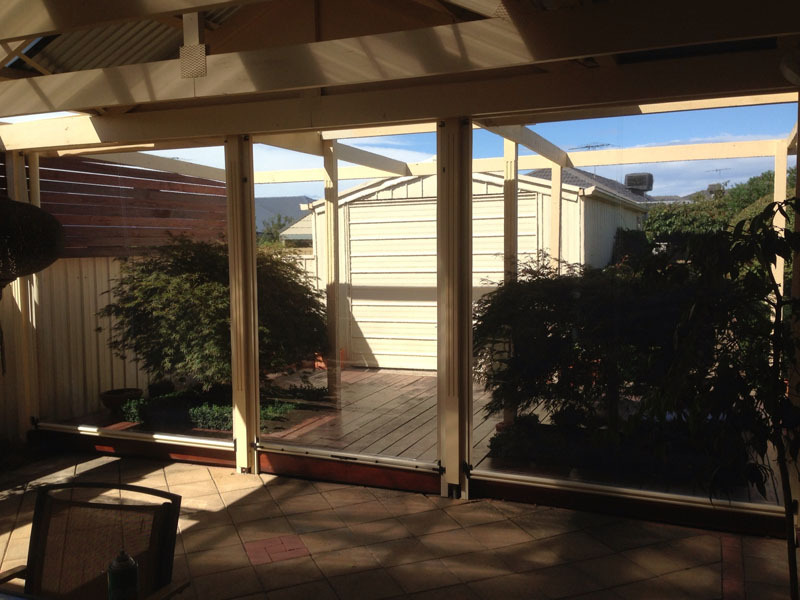 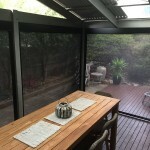 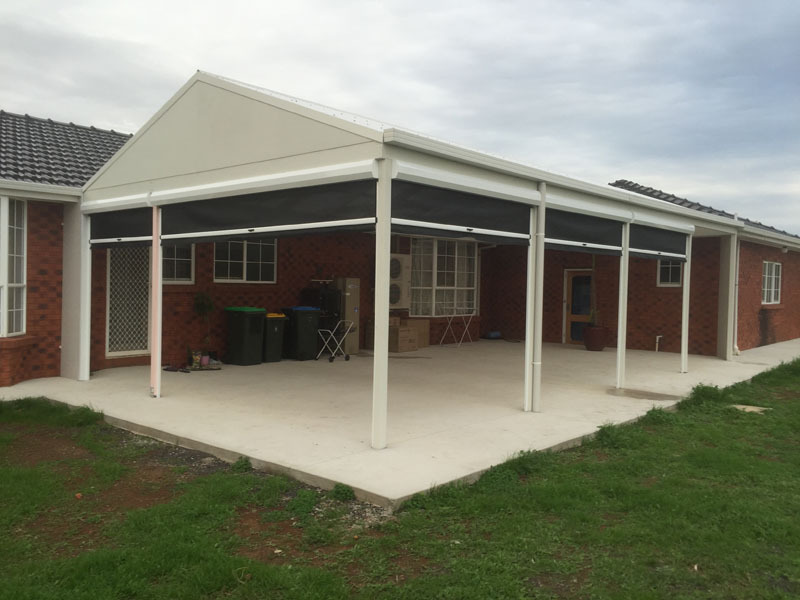 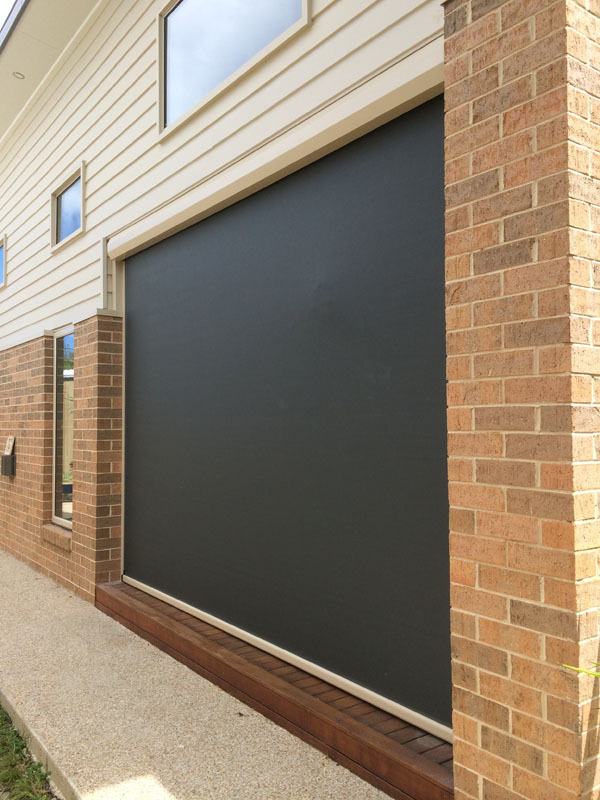 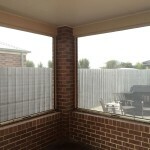 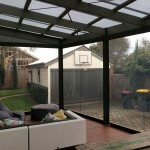 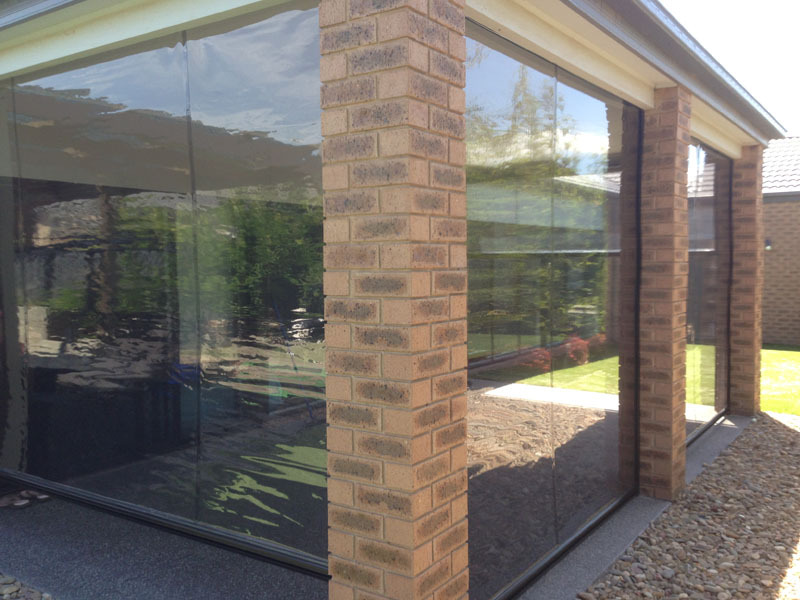 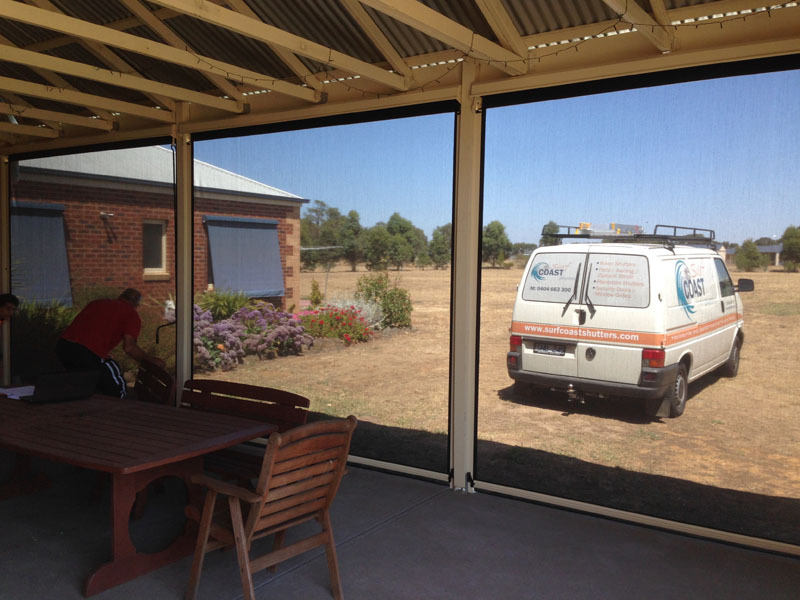 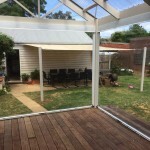 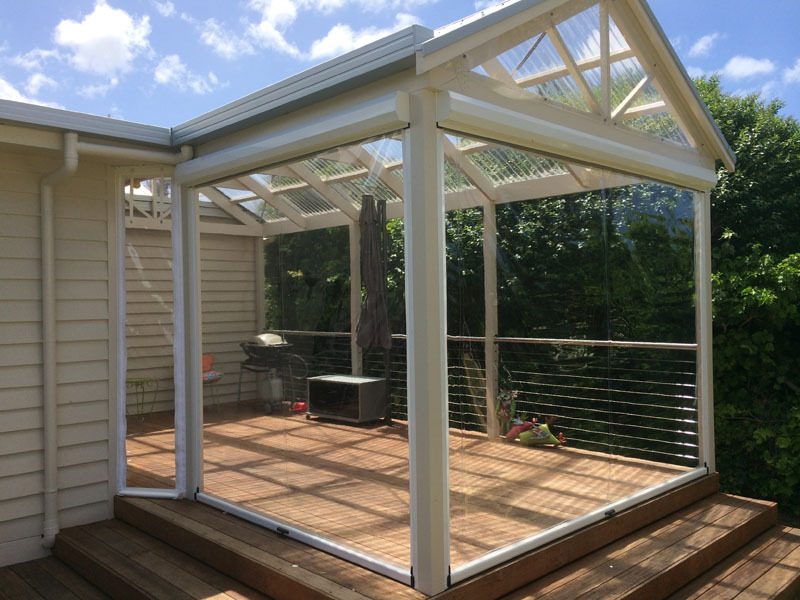 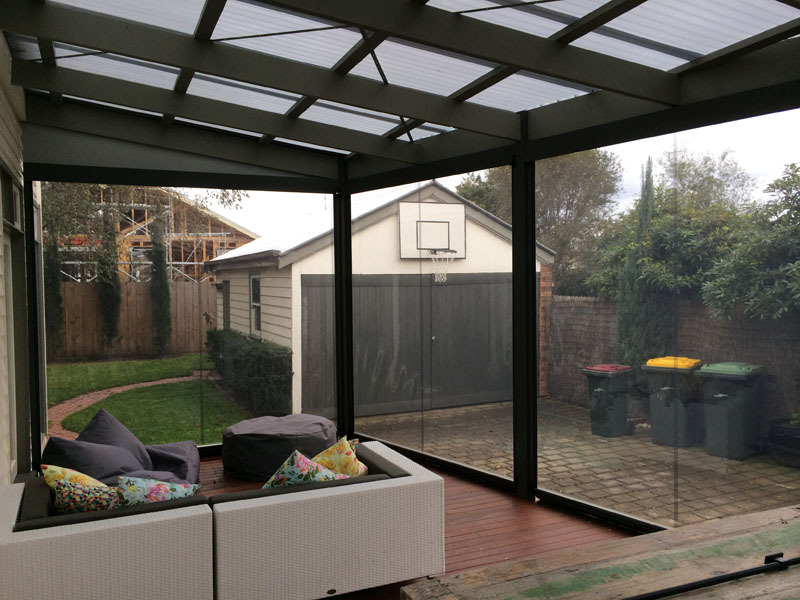 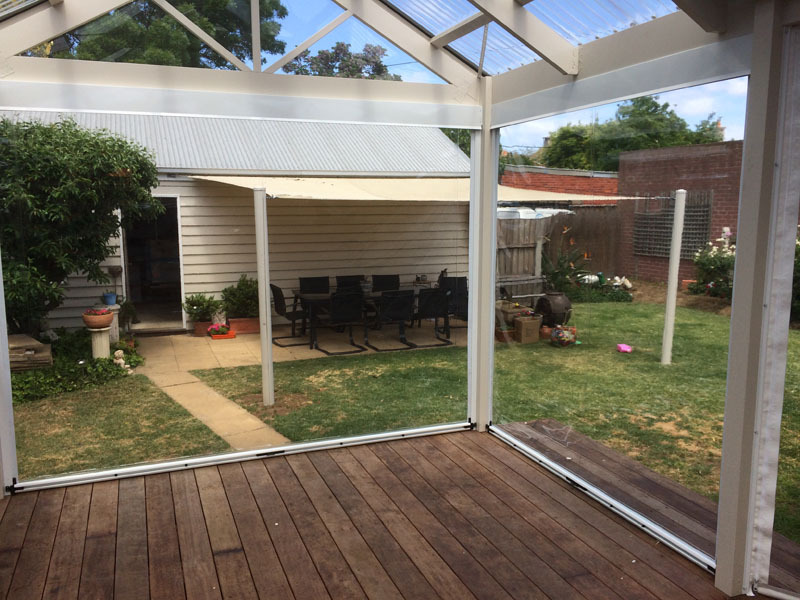 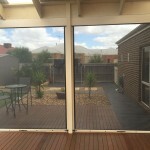 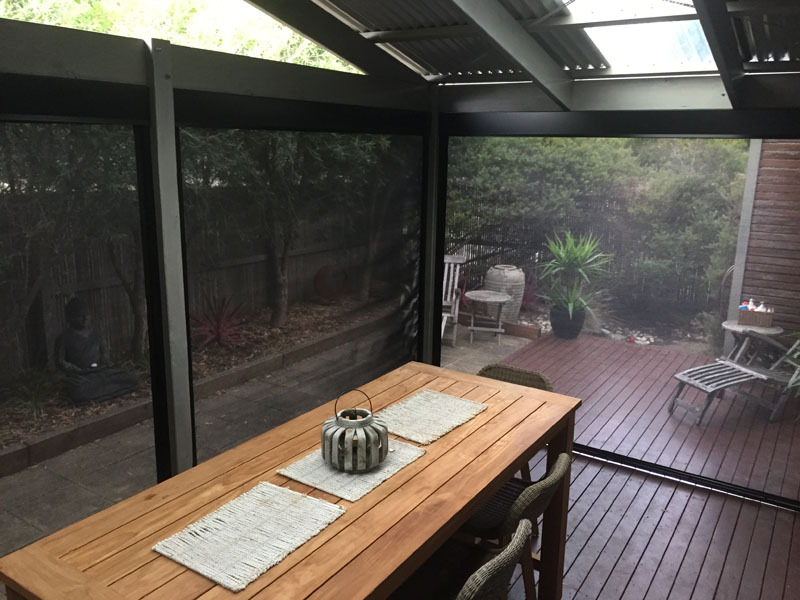 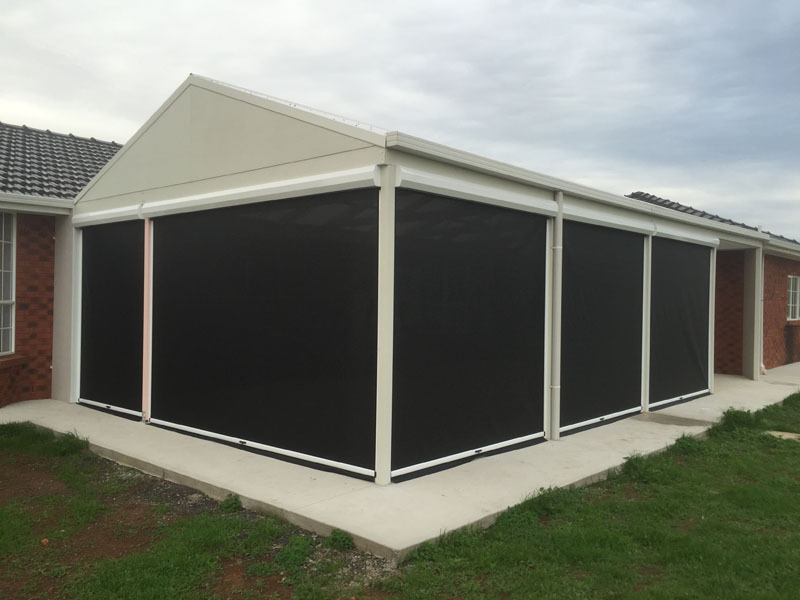 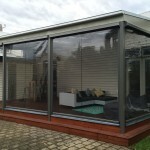 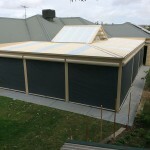 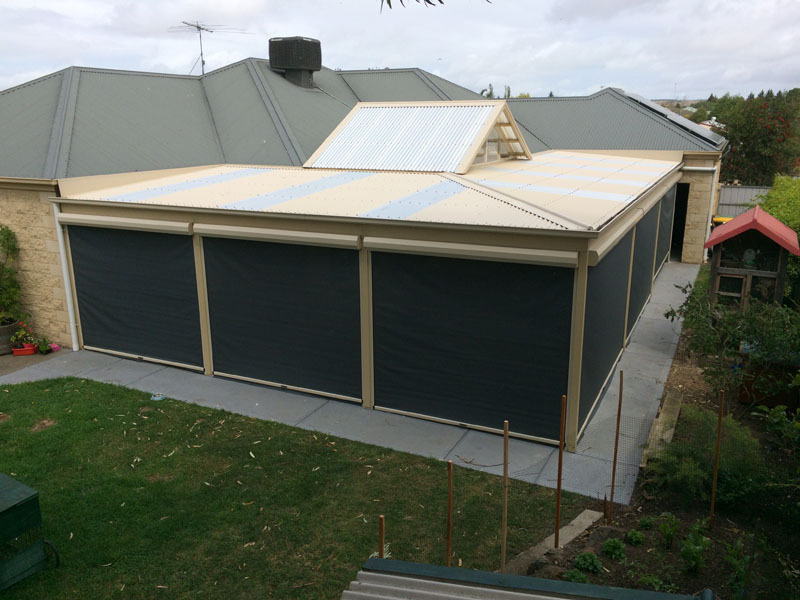 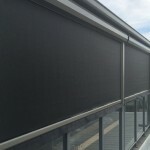 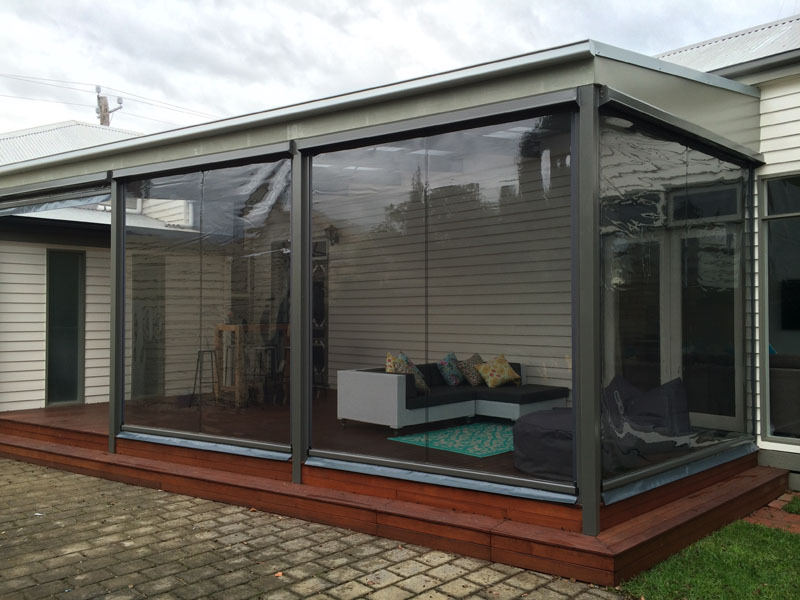 Bottom flaps are available as an option and Ziptrak® comes available in either PVC (clear or tint that is UV-stabilised and mildew treated) for ultimate view or Privacy mesh fabrics for sun protection and privacy. 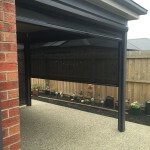 If you’ve been told that your request is in the too hard basket, we can help. 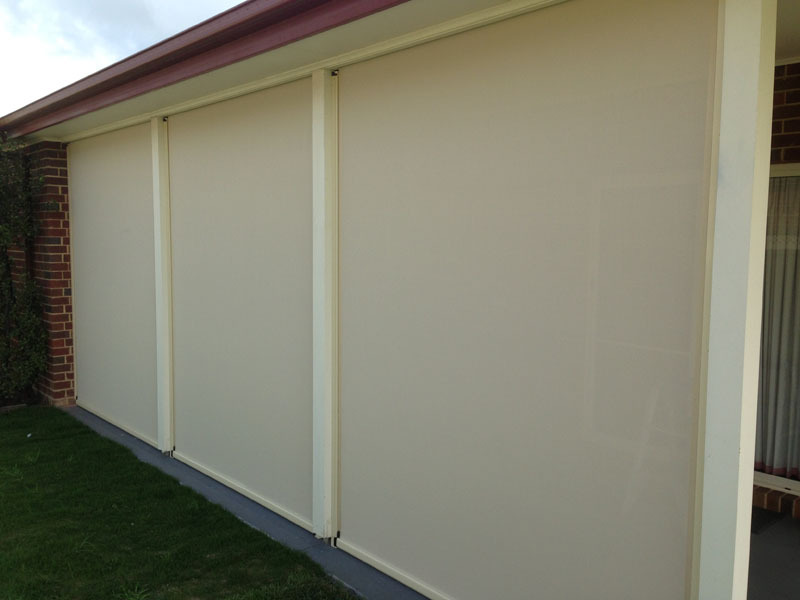 Our carpentry service has been used on many projects; additional posts, removable posts, walls, flashings, you name it, we can do it! 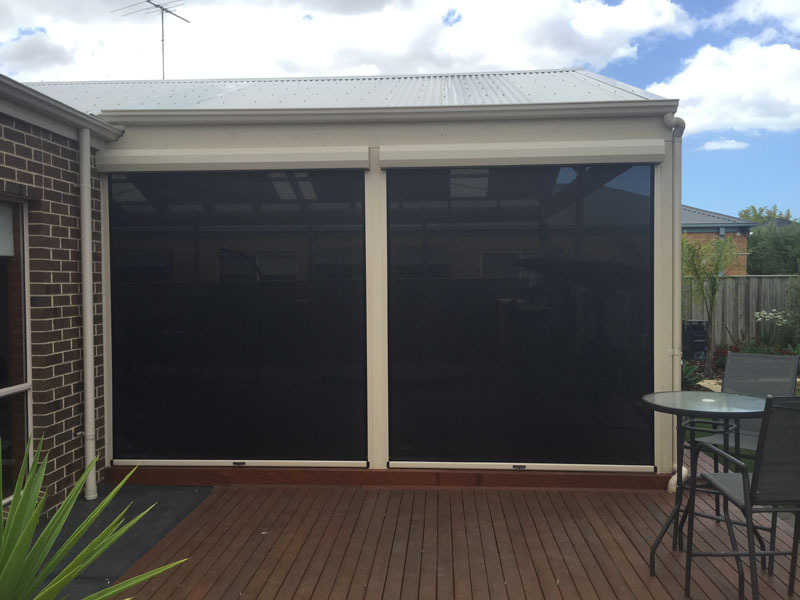 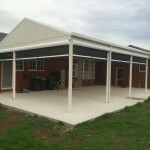 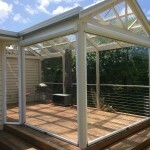 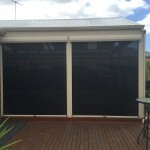 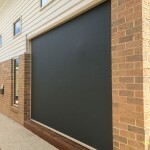 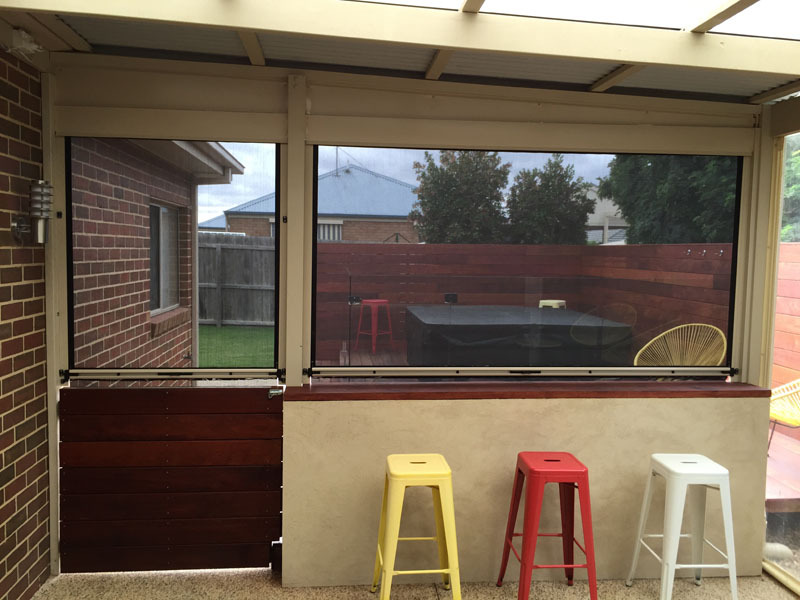 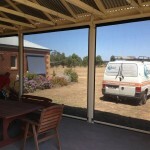 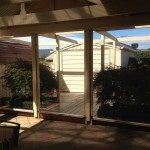 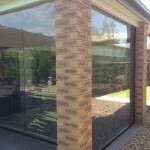 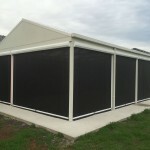 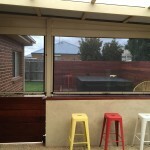 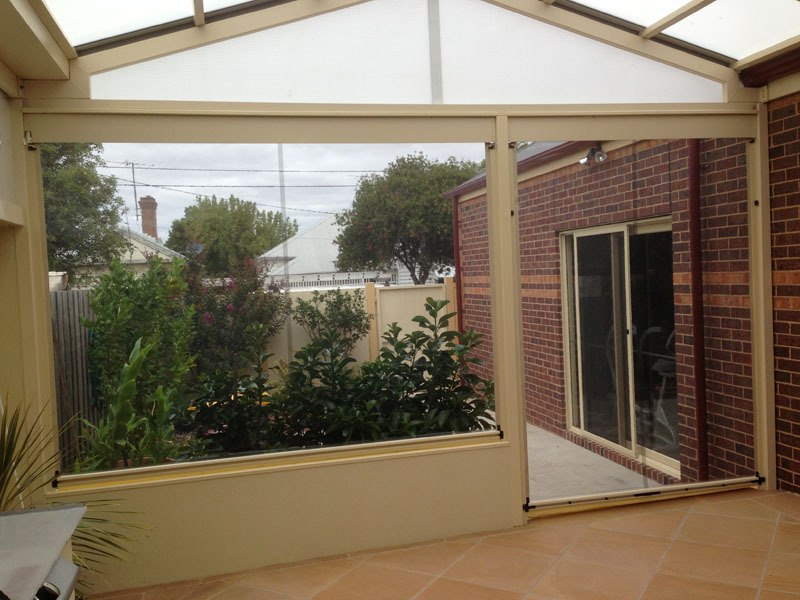 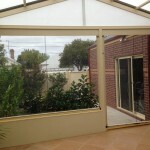 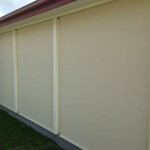 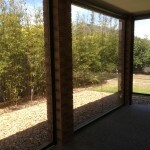 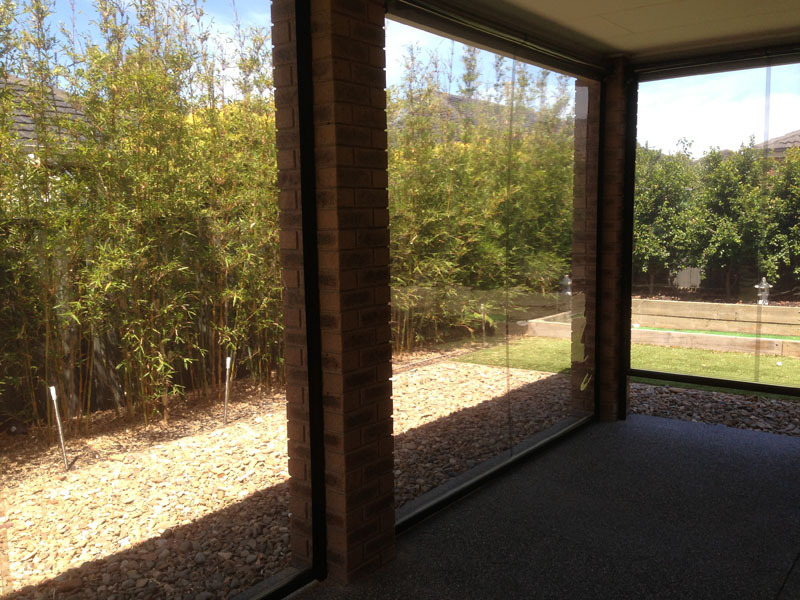 We are only too happy to assist you with your patio blind and Ziptrak® Blind requirements. 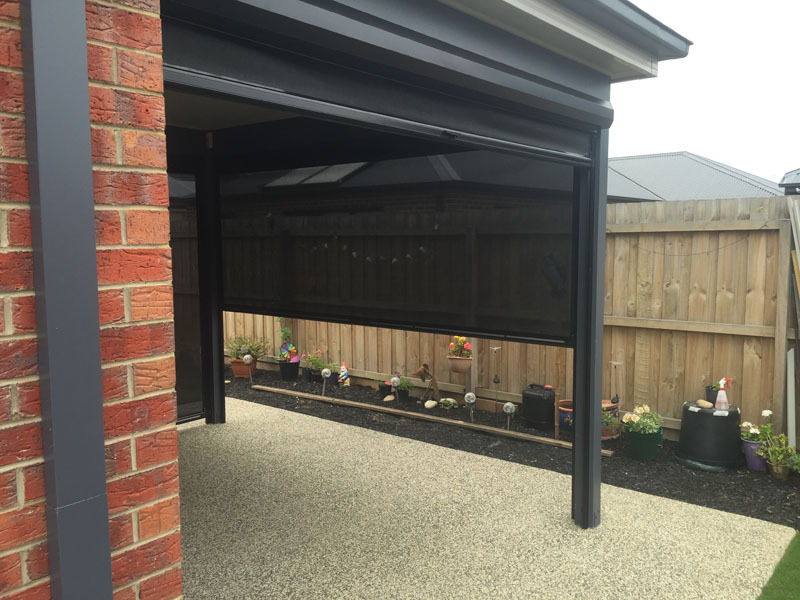 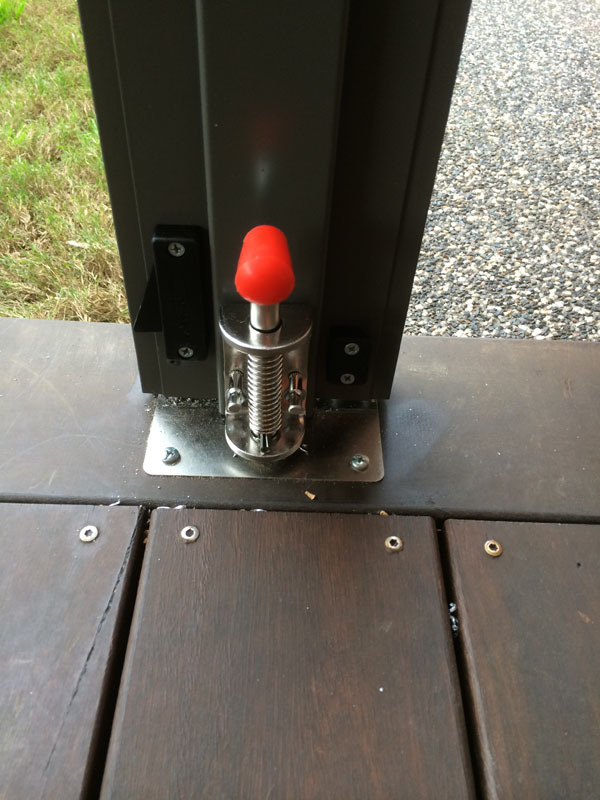 If you’re after something a bit different to fill in your outdoor area and not keen on PVC, but just as innovative as the Ziptrak®, you must see our new EasyView™ roller shutters. 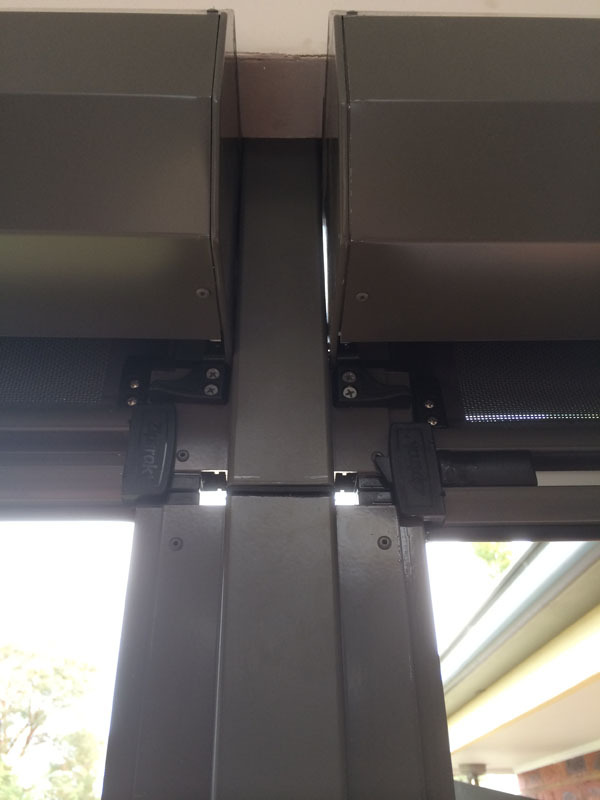 Ziptrak – Can they see you?